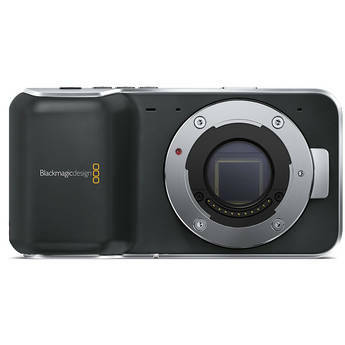 Blackmagic has raised the bar, yet again. They announced a new camera. Actually, they announced 2 new cameras. A new 4k cinema beast, and a smaller little guy, which is the one I’m really interested in. They’re calling it a Pocket Cinema camera. The beauty is; it shoots RAW video @ 1080p, AND it fits in your pocket. I won’t go nuts going over specs because they’re everywhere. The direct source is from Blackmagic’s site. If you want one, do like I did. Preorder it from B&H Photo. It’s available in July. Oh what a great summer it will be.